Operation Homefront’s 2014 Holiday Toy Drive program to distribute toys and gift cards to military families is here! 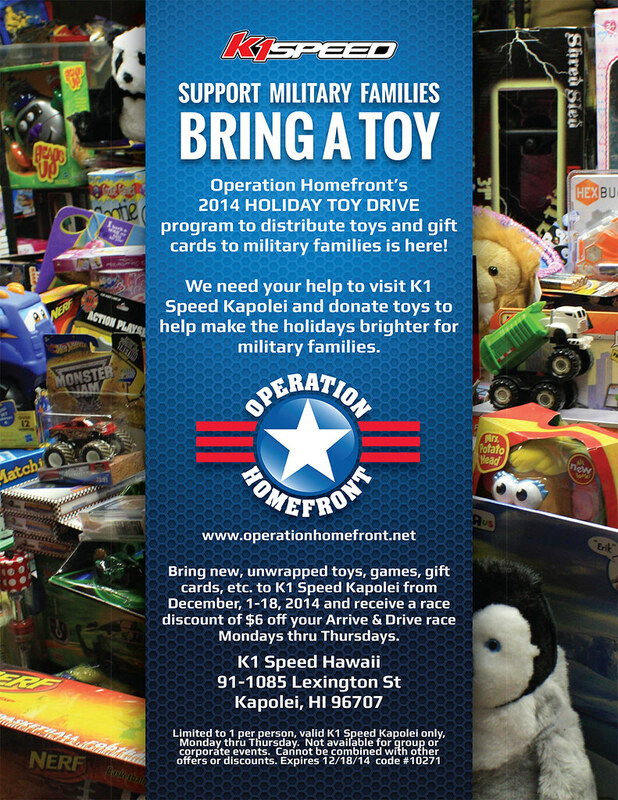 We need your help to visit K1 Speed Kapolei and donate toys to help make the holidays brighter for military families. Bring new, unwrapped toys, games, gift cards, etc. to K1 Speed Kapolei from December, 1-18, 2014 and receive a race discount of $6 off your Arrive & Drive race Mondays thru Thursdays.